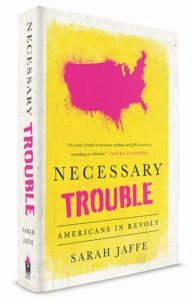 Tim Barker, comrade from the Dissent days and elsewhere, writes a lovely review of Necessary Trouble at the London Review of Books. I couldn’t ask for a better reviewer. The rest is (paywalled, unfortunately) at the LRB. 9 Books for Back-to-School That Times Editors Think You Should Read: More love from the NYT!